Until this week, the most-buzzed-about Facebook Live videos were a BuzzFeed experiment to blow up a watermelon with rubber bands and a Texas woman's hysterical reaction to a Chewbacca mask. Now, though, it is serving as home to citizen journalism like we have never seen before. 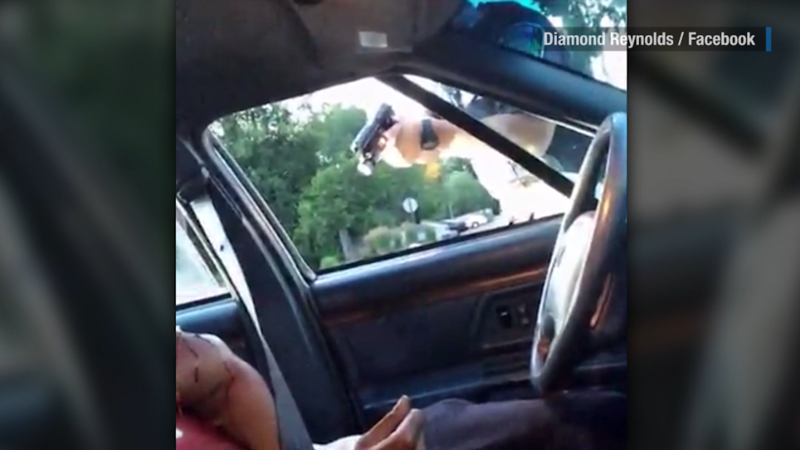 On Wednesday, Diamond Reynolds went live on Facebook with nothing but a cell phone camera after her fiancé, Philando Castile, was shot by a police officer during a traffic stop near Minneapolis -- and captured the attention of the world. On Thursday, several Facebook users in Dallas did the same after police were ambushed by a domestic terrorist. These videos -- and the ensuing live streams of prayer sessions and protests -- are more intimate and more raw than the YouTube clips that symbolized citizen journalism a decade ago. And because there are more phones in more hands now, there are more camera angles to choose from. Other streaming apps, like Twitter's Periscope, have been used in similar ways. But this week has been all about Facebook Live. It was a week that, as Poynter's Al Tompkins, a veteran journalism educator, wrote on Friday, felt like a pivotal moment for the service. "Facebook Live came of age this week in the way that radio did in World War II, TV did when John Kennedy was killed, cable TV did during the first Gulf War and Twitter did in the Arab Spring," Tompkins wrote. Facebook executives may have mixed emotions while reading something like that. The live-streaming function was intended to match rivals like Periscope; generate more content for Facebook; and keep users on Facebook longer. It has been a huge internal priority for the company. Facebook has even been paying media companies like CNN to produce a certain amount of live video this year, partly in an effort to popularize live-streaming and get users acquainted with it. The function was obviously never promoted as a tool for police accountability or eyewitness coverage of a shooting rampage. But the same technology that live-streams joy can also stream death and heartbreak. Facebook CEO Mark Zuckerberg acknowledged this on Thursday. A couple of hours before the Dallas shooting, he posted a note on his personal page expressing condolences to Reynolds and the Castile family. "The images we've seen this week are graphic and heartbreaking, and they shine a light on the fear that millions of members of our community live with every day," he wrote. "While I hope we never have to see another video like Diamond's, it reminds us why coming together to build a more open and connected world is so important -- and how far we still have to go." And this week did provide reminders of how far Facebook Live has to go. In the comments thread, some users tried to ask Zuckerberg about Facebook's content filtering policies -- one of the many subjects that have been questioned in the wake of the graphic shooting videos. Reynolds' video was temporarily pulled from her page on Wednesday night -- possibly because it was flagged by users or by Facebook's computers for being bloody. Facebook restored the video about an hour later and blamed the problem on a "technical glitch," an answer that some experts did not find convincing. Reynolds' video, and the ambush videos from Dallas, are now on the site accompanied by warnings. "Are you sure you want to see this?" the label asks, requiring users to consent before viewing it. There have been several other well-documented instances of crimes being streamed. In June, an Islamic extremist who killed a police commander and his romantic partner in France posted a 12-minute video on Facebook while holding a hostage. Facebook said no executives were available for interviews on the subject on Friday. But in a statement, the company said, "Live video is a relatively new and growing format, and we are committed to iterating and improving on how we handle content, address violations and keep the community safe." The questions confronting Facebook are quite similar to the ones that news organizations have confronted for decades. Should users be live-streaming police movements during a tactical operation? If not, who's in charge of halting the stream? "We understand the unique challenges of live video," a Facebook spokesperson said Friday, and that's why the site lets viewers report live videos for violating "community standards." "We have a team on-call 24 hours a day, seven days a week, dedicated to responding to these reports immediately," the spokesperson said. According to Facebook, the reviewers consider the "context and degree" of a live or recorded video: "For instance, if a person witnessed a shooting, and used Facebook Live to raise awareness or find the shooter, we would allow it. However, if someone shared the same video to mock the victim or celebrate the shooting, we would remove the video." The proliferation of live video has consequences for news organizations, too. Hundreds of millions of Facebook users with cellphones equals hundreds of millions of potential cameramen and camerawomen. The Facebook eyewitnesses in Dallas provided TV networks with badly needed videos in the early hours after the attack. Jonathan Wald, who produced the first four hours of CNN's Dallas coverage, tweeted, "The only certain thing tonight: if it happens, someone with a camera will capture it and probably put it up live." There are also deeper questions about what the access to instant live-streaming means for both producers and consumers of the videos. Fortune's Mathew Ingram, who writes frequently about the impact of social media, said the rise of "ubiquitous smartphone video and eyewitness journalism has made the world seem like a much more chaotic and dangerous place than it used to be." Ingram asked, "Is it better to live in this way because at least we know more about what is going on around us, and we get a tangible sense of the violent state of the world? Or does it make things worse, and create more problems for society than it solves?" And he answered: "In a way, those questions are all moot—we are living it, and we will have to figure out the rules (if there are any) as we go."